So, here’s a trivia question to get you thinking: What does a remote and rocky island off the southwest coast of Ireland, and the vast sand dunes of the Rub Al Khali in the southwest of the emirate of Abu Dhabi have in common? If you’re a ‘set jetter’ — a person who travels to locations made famous by movies and television series — the answer is easy. That vast tract of Abu Dhabi desert stands in for the planet Jakku, where ‘Finn’ (John Boyega) deserts the ranks of Stormtroopers in Star Wars Episode VII: The Force Awakens. And his secret map takes him to Skellig Michael, an island bird sanctuary located 20 kilometres off the coast of County Kerry where Luke Skywalker (Mark Hamill) is hiding out. Eager jet setters will know that there’s no accommodation and, weather permitting, there’s also a ferry service to the island that requires a tortuous climb of 618-stone steps to the terrace where the Star Wars scenes were shot — on a small grassy plateau inhabited by early Christian monks in the 6th century. But for Game of Thrones fans turned jet setters, Ireland is ground zero, with production of the award-winning series coordinated in Belfast on a site where shipyards that once built the ill-fated Titanic were located. No, none of the scenes of the movie Titanic were shot in Ireland, but the liner was built in Belfast. Cobh, a small deep-sea harbour outside Cork was the real ship’s last port of call on April 11, 1912, before it hit an iceberg and sank four days later. That’s real history. Real ‘set jetters’, however, are interested in fantasy. At the height of the summer we have about six buses a day taking Game of Thrones fans to the locations across Northern Ireland. Smyth’s company is one of several offering such up-close-and-personal experiences with the locations used by the production crew and cast, and some of the tour guides have played extras in the series, offering their insight into the popular hit series. The ‘set jetters’ have a chance to visit the scene of the Red Wedding, where Rob Stark and his mother were butchered in the penultimate show of Season 3. “We’ve even have several couples propose there,” Smyth says. The tours are often enhanced by showing how computer-generated graphics and special effects transform landmarks across the Irish countryside into locations such as the Iron Islands. Tollymore Forest Park in Down stands in as the Haunted Forest, while Winterfell, home of the mighty Starks, is actually the real-life Castle Ward — also in Down. The Dothraki Grasslands? That’s at Binevenagh just outside the city of Derry and, no, none of Daenerys Targareon’s Majestic dragons are roaming about there now. 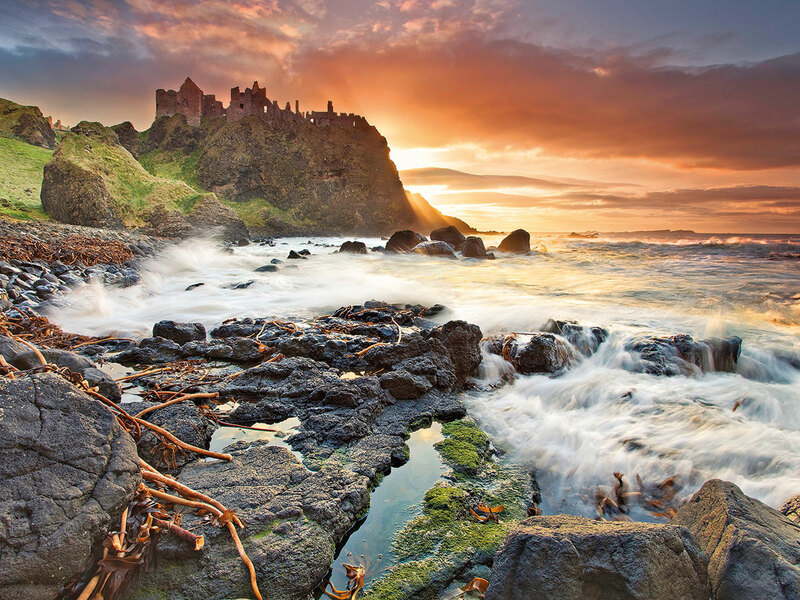 Nearby, the coast of Sunspear at Portstewart Strand happens to be the pivotal location where the Sandsnake sisters conspired against the Lannisters, while Ballygally Castle stands in for Westeros, the Stormlands and the Iron Islands along the coast of Antrim. Tourism Island estimates that there were 71,000 tourists from across the Middle East last year, with 65 per cent of that total coming from the UAE. 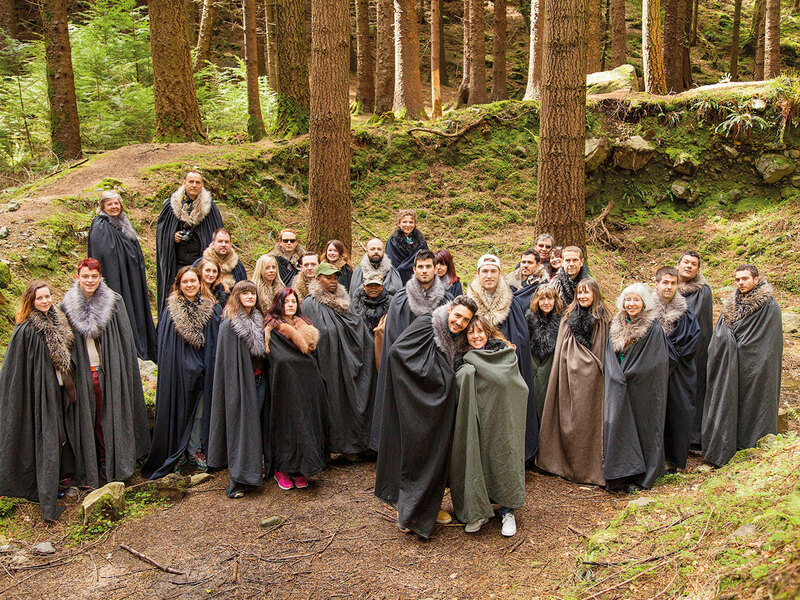 The board can’t say how many of those specifically visited Ireland to go to movie locations but it is a factor, as Niall Gibbons, Tourism Ireland’s chief executive officer notes that screen tourism is a driver, particularly Game of Thrones. At the other end of Europe, ‘set jetters’ too are flocking to Dubrovnik, the Croatian walled city that stands in for King’s Landing in the series. Wearing a blue khaleesi dress, Katja Seref takes Game of Thrones tourists on scheduled walking tours of the city. And when she hears the words that “winter is coming”, she feels relief. “It means I can get a break,” she says. For the past seven years, the numbers of ‘set jetters’ to King’s Landing, sorry — Dubrovnik — has grown exponentially, and July is associated with over-tourism, where locals’ tempers are frayed because too many people are visiting the small city, overstretching its services. Last summer, city officials cracked down on street vendors, limited the number of outside restaurant tables and set quotas on the number of cruise ships docking at the city famed for its medieval walls and small alleys. It’s an attempt to find the right balance of welcoming tourists — and their money — without being overwhelmed. In 2015 in Dubrovnik, there were nearly 300 Game of Thrones show-related tours. In 2017, there were 4,500. And in 2018, that figure nearly doubled again. Seref, who led historical tours of the city before the Game of Thrones boom, is always amazed at the questions she’s asked. For instance, she can’t count how many people have asked how long it took HBO to build the city’s walls. She politely informs the show’s fans that the defences date from the 13th century. She makes it a point to not just lead people to the sites of the show’s famous scenes — such as the “shame” steps where Cersei Lannister, a queen portrayed by Lena Headey, was paraded naked before an angry public in Season 5 — but to offer a peek behind the curtain, a funny and observant take on what it feels like to live in a place turned into a stage set. As passengers aboard a painstakingly restored wooden ship used in the show took turns dressing up as their favourite characters and sailed around the city, Seref relayed how one actress asked that “all the pretty Croatian girls be replaced with uglier ones,” so as not to upstage her. She made frequent references to the astounding amounts of money spent to film what would eventually be a minute or two of footage. 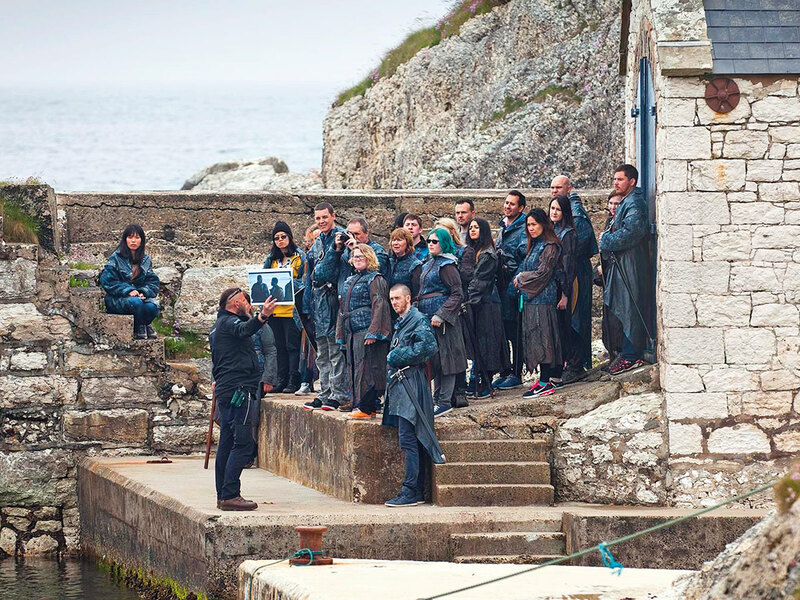 She diverted the discussion from the HBO show to marvel at how the crew of the latest Star Wars film spent a reported $10 million (DH36.7 million) to shoot a scene in Dubrovnik that lasted 15 seconds on screen. Soon after winning the election in June 2017, Frankovic took steps to reduce the number of daily cruise passengers sent to the old city to 4,000 a day by next summer — half the 8,000 recommended by Unesco and a steep drop from the more than 10,000 who might show up on an average day this July. But it’s not just Game of Thrones or Star Wars that entices tourists to get up and go to locations around the world. Lough Dan and Lough Tay, two small lakes set in the hills of Wicklow, south of the Irish capital, are the location for the series Vikings, standing in for Scandinavian ports and battlefields where hordes of angry warriors pillage and plunder their way across ancient Britain. 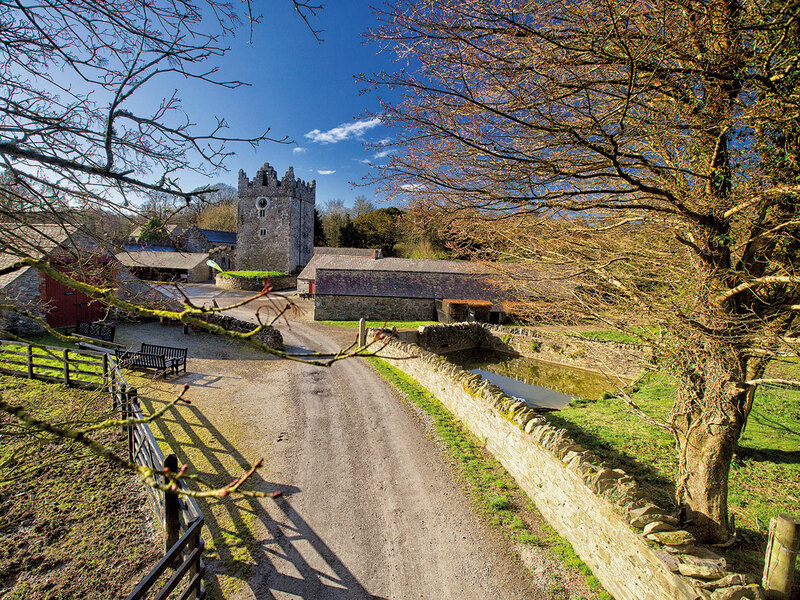 At Lough Dan House, a small traditional Bed and Breakfast home run by Theresa and Sean Byrne, visitors can get a first-hand walking tour over the mountains and hills that stand in for the Vikings battlefields as well as Kattegat, the home of Ragnor Lothbrok, the central character in the series. And just 70 kilometres away to the south, a quiet strip of beach played one of the greatest movie parts over the past decade. Stopping in for a coffee at a café in the sleepy summer resort village of Curracloe, only its name gives a hint that the local beach played a starring role in one of the pivotal moments in cinematic and indeed 20th century history. Forget Normandy and the D-Day landings of June 6, 1944 — Curracloe Beach was invaded by Stephen Spielburg, Tom Hanks and the crew and cast of Saving Private Ryan in 1998. The movie’s epic 30-minute opening sequence, where Second World War US troops struggled to get a foothold on the North Atlantic wall built by Adolf Hitler? It was shot here, along the dunes and beach of the Wexford beach on the southeast corner of Ireland. According to press reports, the 1998 production spent one-third of its $65-million budget on the landing scene, 40,000 litres of fake blood were used, and the 400 crew and 1,000 extras who were actually reserves from Ireland’s Defence Forces were on site for six weeks until filming was completed. Saving Private Ryan marked a second-such blockbuster movie for many of those military reservists on their annual manouevres and exercises. Three years earlier, they swapped their camouflage uniforms for kilts, playing as extras in Mel Gibson’s Braveheart, where most of the battle scenes and much of the movie was shot on location in Ireland — not neighbouring Scotland where the real-life William Wallace rebelled against English rule in the late 13th century.